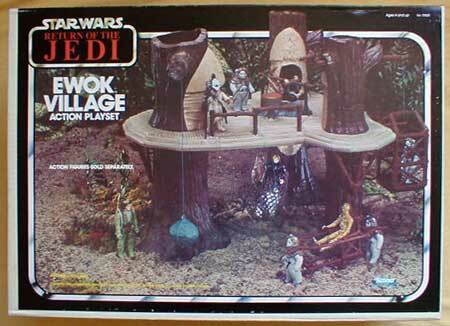 Straight from the forests of Endor and the kingdom of Ewok! 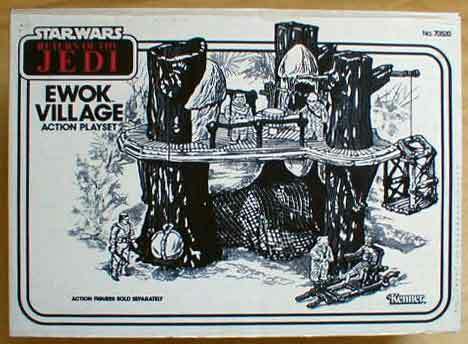 Features a manually operated net trap, and string rope elevator for supplies and prisoners. 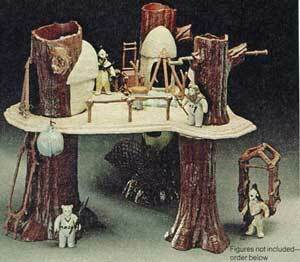 Also has huts, campfire with rotisserie, and boulder which attaches to tree top limb. Secret escape hatch. Figures not included, order at right. For ages 4 years and up.